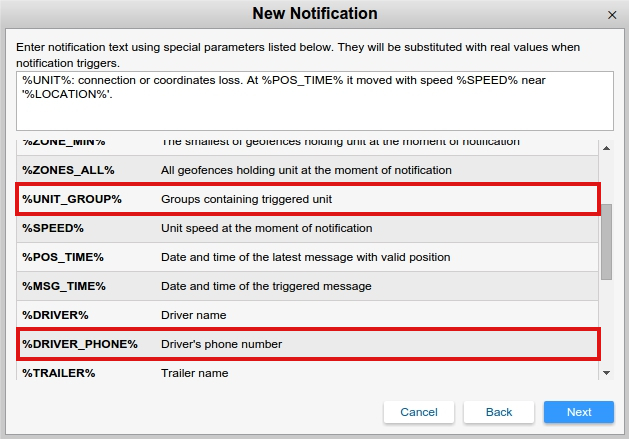 Two new parameters "Unit group" and "Driver's phone number" were added to notification text. When a notification triggers a user knows for sure which group this unit is bound to and can easily contact the corresponding driver. This allows to check how the event affects other units in the group and prevent incidents with other vehicles. As long as a chance to get GPS signal inside a shipping container is rather low, companies engaged in freight forwarding more and more often take note of LBS service to track asset location and use devices sending only LBS messages. 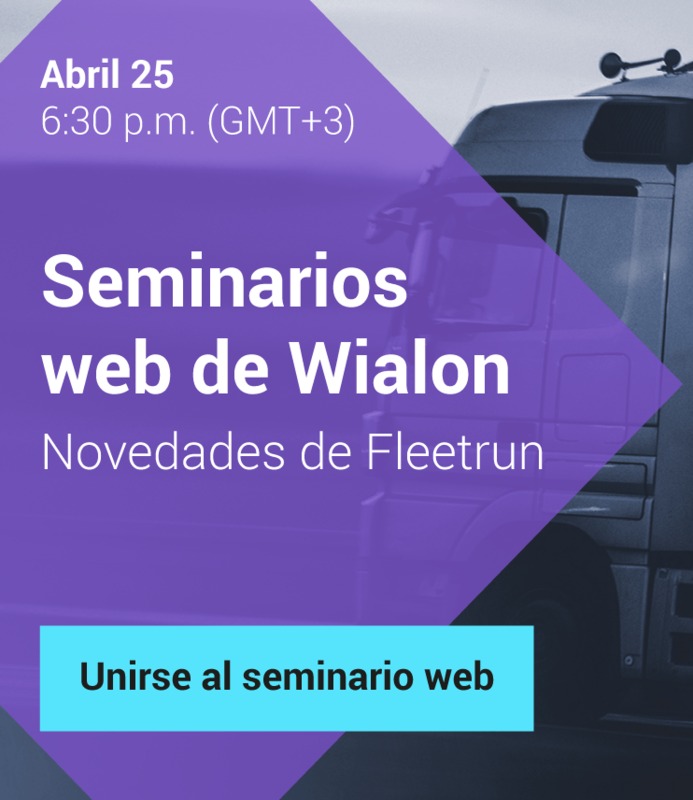 Considering the increasing interest we are focusing on deeper integration of LBS services with Wialon system, namely with Notifications module. 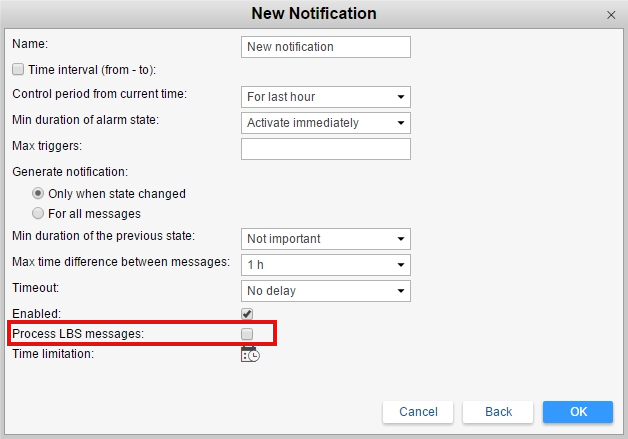 Notifications of geofence, address, interposition of units and connection loss types can now be triggered by LBS messages. These allows for continuous cargo tracking regardless of GPS signal performance. 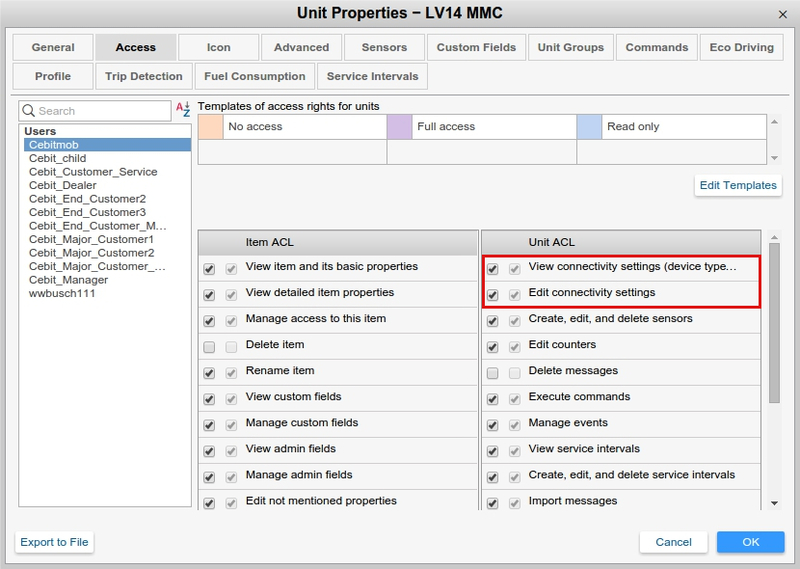 As a result of monitoring panel enhancements LBS messages can now be used to detect unit movement status, displayed by the new LBS-icons, including "no messages are received from a unit" icon. Users having access to Google Maps often use Google Street View to visualize current unit location. But following a unit in "Google Streets" throughout the trip and an option to visualize any point on the track is what of special interest for our partners. Fuel theft detected? Check if there’s any place nearby to bargain it off. Any evidence of reckless driving? The driver might not have other alternatives due to road conditions. Ongoing idling? Check if a client is the reason, not a neighbourhood pub. To address these and a number of other issues we implemented the option to query Google Streets View for any point on a unit track, including event markers, in Track Player tool to always be at the right time and place. We updated access rights by adding separate rights to view and edit connectivity settings (unique ID, device type, etc.) in unit properties. You can now make the information visible, but not editable. That way you preserve data transparency and stay sure that critical information won’t be edited without your consent. 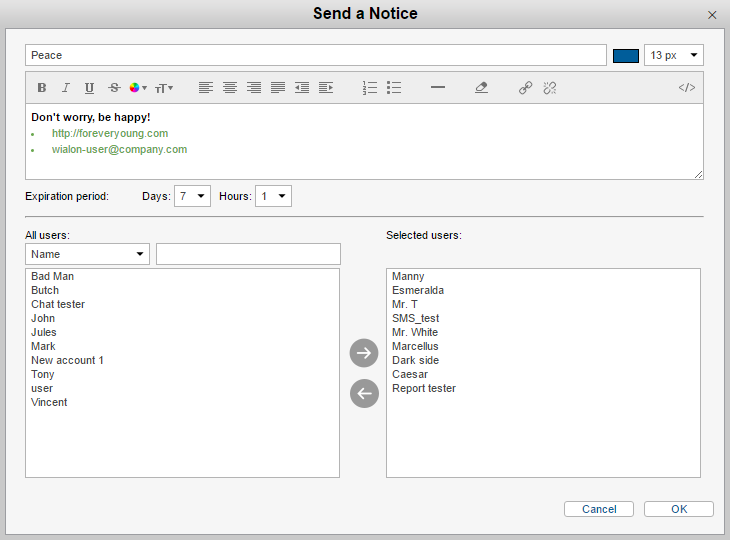 An option to send messages right from the CMS interface is a useful tool to interact with Wialon users. To enhance user experience we supplemented messages dialog with basic formatting options, including several ways to highlight bullet points, create a list, adjust links to a familiar sight and much more. Formatted text makes user concentrate on key points and never miss a detail. By analogy with other modules we incorporated "Units" and "Unit groups" tabs. The new design of the major tab simplifies unit management and saves time on searching the necessary tab among a dozen of others. Filtration mechanism has also been subject to modifications. Instead of guiding the user to a necessary unit in the list, it only leaves the relevant elements there. The above prompts search procedures within the system. "Motion state" parameter has now become configurable. The range of accepted values is no more limited by 60 minutes. Thus, you may specify any period from 1 to 999 minutes. Upon its expiry motion state signs become invalid. Once more we would like to thank our partners for innovative ideas and hope that they will find the new functionality useful. And Gurtam team is preparing for the last update in the year 2016. Have a nice and snowy November!